SA Learners is South Africa' first Learners Licence website assisting you in completing your Department of Transport Learners Licence test successfully First Time!!! SA Learners.co.za does not facilitate the real test . Since the beginning of 2004, we have assisted many individuals with successfully completing their Learners Licence test first time using our "Online Practice Testing Material" test questions and answers which you may take as often as you like. We Guarantee you will pass this is why we are offering a MONEY BACK GUARANTEE - if you don't pass your test we will refund your R150!!! You have nothing to lose!!! 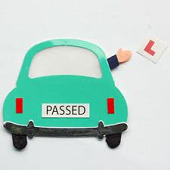 -- 100% of our members pass their learners test first time!!! -- Small joining fee means you have the correct material & will not fail guaranteed!!! -- You only need SA Learners material - no extra books or any other material needed. --Make the right choice!!! No one wants to take their test again!! !